GN Solids America now is doing some important modification in their Houston facility. Now they are expanding their warehouse inventory capacity by installing the screen rack and shelf inside the warehouse, after installation, the warehouse inventory capacity could be tripled to more than 6000 pieces of shaker screens. And it will mainly hold 4 types of composite frame shale shaker screens: MONGOOSE, KING COBRA/ VENOM, FLUID SYSTEM, and DERRICK. Now there is another new 40 feet container coming into Houston, the expected arrival time will be next week. It will be full of MONGOOSE and FLUID SYSTEM shaker screens, all of them are composite frame screens. These screens have many great features, if the screen API above 60, the wire mesh will be rectangular shape and there will be 3 layers of wire mesh. It will dramatically increase the life of the screen. The wire mesh will be much thicker. The screen will be four side pretensioned, which will make the screens layers combined more tightly, this will also increase the longevity greatly. The screen weight will be decreased dramatically, this will increase the safety for the operator on the job site. The non blank area will also increase by 20%, the working hours can reach up to 300-700 hours. 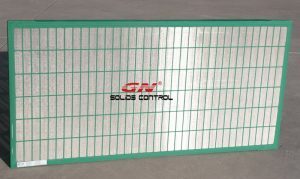 But comparing to the OEM screen manufacturers, GN’s replacement screen price can be only 40%-50% of them, this will help the operators save a lot of money, especially in this downturn time of the oil and gas industry. Except for the shale shaker screens, GN Solids America also stocked about 20 units of solid control equipment, such as the decanter centrifuge, cutting dryer, shale shaker, mud cleaner. If the customer need them, GN could ship them immediately to your job site. 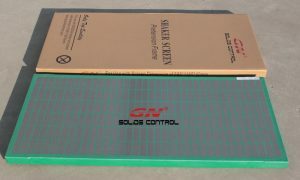 Finally, GN could be your one stop shop for your solid control requirement, welcome to send your inquiries to lucas@gnsolidscontrol.com .